Our incredibly affordable upper-level 20ft containers offer the most cost-effective storage solutions for larger industrial, commercial and residential requirements. Large enough to safely store the typical contents of a larger house or business, our 20ft containers are perfect for long and short-term use alike. Elevated though still easily accessible by stairs, these units are incredibly versatile and offer unbeatable value for money. We can also offer forklift services upon request for added convenience, if required. Priced at just £41.54 per week or £180 per calendar month, all terms and costs are fully flexible. 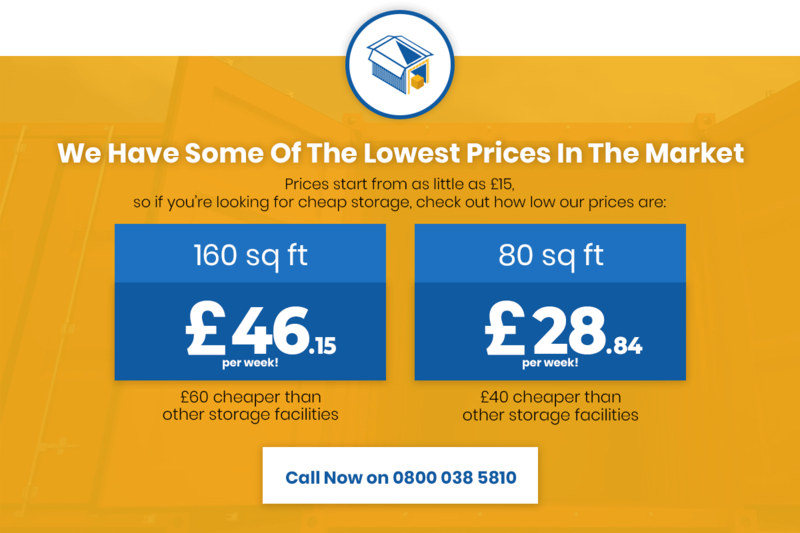 We specialise in bespoke storage solutions that cater to the price needs of our customers – call today for an accurate quotation.